Keeping up with today’s business demands requires the best printers and copiers on the market. That’s why we’ve partnered exclusively with world-class brands such as Toshiba, Konica Minolta and Canon to offer the highest quality machines to our Mississauga customers. Our customers know that when they trust us with their office productivity needs, they’re getting the highest quality in the industry. Our multifunction printers and copiers offer the greatest level of flexibility and functionality currently available. Combining high quality printing with fast scanning and build in connectivity allows for a truly integrated business system. If you business has high output printing needs, our production printers are suited to meet any need. We are proud to serve Mississauga businesses and have over 35 years experience helping them meet their goals. We also supply desktop and office printers for small to mid-sized businesses. Our printers offer smaller footprints without sacrificing the productivity enhancing features seen on larger printers. True wireless printing, high definition scanning and an expanded colour gamut mean professional grade printing is just a phone call away. When it comes to printers and copiers in Mississauga, Busys.ca is the only name you need to know. Investing in a new multifunction printer or mailing machine can be a significant cash flow issue for small to mid-sized businesses in Ontario. That’s why Busys.ca offers a range of flexible and competitive leasing and rental agreements for all of our machines. Paying in small regular installments removes the substantial initial cost and provides flexibility when businesses need it most. We are proud to offer Ontario’s leading printer and copier leasing program to our loyal customers. 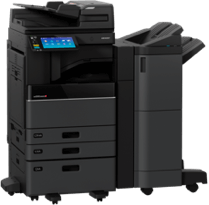 Leasing allows you to enjoy all the productivity enhancements offers by a new Toshiba or Konica Minolta multifunction printer without sacrificing your cash flow. Flexible, easy repayments cover your new machine and our comprehensive support system allowing our Ontario customers complete control. Occasionally a short term rental agreement will be the more appropriate option for your business. From a temporary increase in printing demands to conference setups, our printers can be rented for shorter periods to suit your needs. Our dedicated team is always on hand to answer you questions, so simply contact us and we will find the best option for you. We are proud to have met Mississauga’s rental printer and copier needs for over 35 years. We have spent the past three decades developing thousands of partnerships with many different local businesses so that we can serve every customer need. 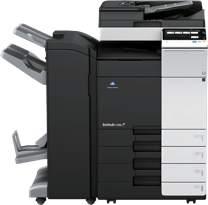 We are dedicated to offering the best customer experience in Mississauga when it comes to office printers and copiers. When our customers need the latest software and hardware, we are there to connect them with the fastest technology in the industry. Printers, copiers and mailing machines are constantly being improved, and we make it a top priority to only offer the best machines from Toshiba, Konica Minolta and Canon. Our machines offer the most functionality and flexibility, whilst also being eco-friendly and with lower energy demands. We are passionate about helping our customers protect the environment through productivity. 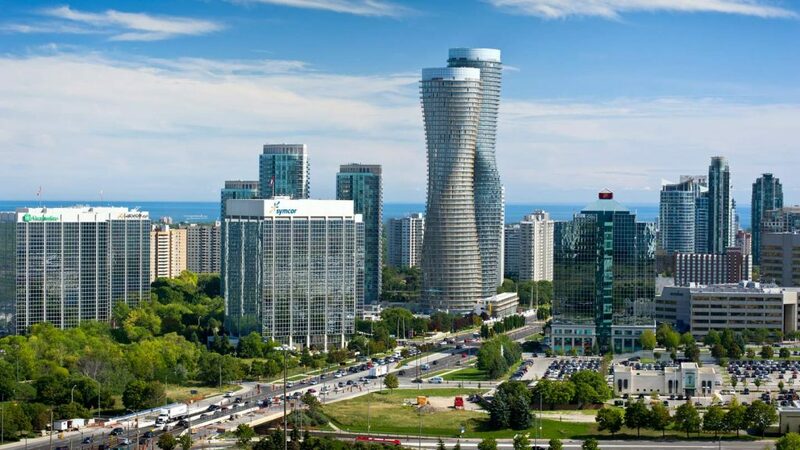 Our commitment to the Mississauga community extends beyond printers and copiers. 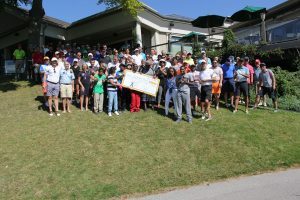 We have donated over $110,000 to Parkholme School for children living with autism, and continue to support this great cause. Supporting Mississauga is one of our top priorities and our loyal customers return to us time and again for their printing needs. We are dedicated to providing the best customer support experience long after the printer has left our showroom. We know that our Mississauga customers expect expert support when it comes to their office productivity needs, and we are proud to offer a comprehensive support package for all our printers and copiers. Our award-winning “Cost Per Print” support contract offers incredible value, protection and flexibility. Replacing toner can be tedious and time consuming in a large office. Our service plan includes toner replacements for the life of the contract so you don’t have to worry about running out of ink. Our support also include all parts, labour, warranties, and retrofits to give our Mississauga customers peace of mind. Our friendly support team are also available to assist our customers with whatever they need over the phone. Simply call our dedicated support line and one of our local staff will walk you through any issues or questions. We ensure our Mississauga customers feel secure and looked after so that they can have confidence in their new purchase.